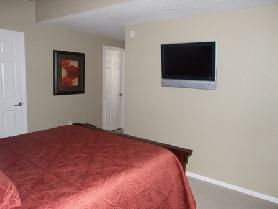 Southeast Denver, CO Fully Furnished Corporate Rentals Available Now! If you are going to be traveling to the Denver Metro Area in the near future try staying in a fully furnished corporate rental. All properties listed below include all furnishings, linens, towels, bedding, housewares, parking, capped utilities, expanded basic cable, wireless high speed internet, and domestic long distance all for one great price. 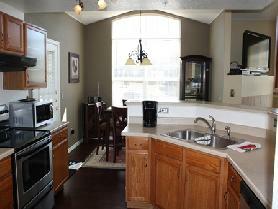 1 Bedroom/1 Bathroom Denver Technological Center (DTC) Condo with Attached 1 Car Garage. This property features: a full sized washer and dryer in the unit; an outdoor patio; Unit is fully equipped with plush light beige carpet, new paint, new furnishings, gas fireplace, dishwasher, disposal, self-cleaning oven, built-in microwave, and refrigerator with ice-maker; Large windows with a window seat in bedroom; Enormous walk-in wardrobe closet; Cable TV and stereo; and a Private storage area. This property is conveniently located to I-25, C-470 and I-225, dining, shops, and recreation. The community also features a private clubhouse and swimming pool. To view more photos, maps, and information about this condo, please click here. 1 Bedroom/1 Bathroom DTC Loft with underground, attached, heated parking. This property features a master bedroom with a king sized bed and TV with a large walk-in closet; Full-size stackable washer and dryer in unit; new furnishings; a nice kitchen and a private balcony. The community has a pool, hot tub, and fitness center and is within walking distance to the light rail. To view more photos, maps, and information about this nice loft, please click here. 1 Bedroom/2 Bathroom Parker Condo with Private Office. This property features: a sleeper sofa in the office; Large Flat Screen TV in Living Room; 1,180 Square Feet; Granite Counter tops in Kitchen and New Black Appliances; private balconies off Master & Office; and a BBQ Grill on Balcony. The community features a fitness center, pool, sand volleyball court, and playground. To view more photos, maps, and information about this lovely condo, please click here. 2 Bedroom/2 Bathroom Aurora Condo with attached 1 car garage. This property features 2 Balconies- Accessed by Both Bedrooms and Kitchen; Open Kitchen Floor Plan; Vaulted Ceilings; Upgraded Appliances; Bar Area and Dining Area; Wide Plank Hardwood Floors; Flat Big Screen TV in Living Room with Expanded Basic Cable; Fireplace; king bed and Flat screen TV in master bedroom; Desk Area in 2nd Bedroom with Wireless High-Speed Internet; and a Washer/Dryer in the unit. The community features a clubhouse, pool, hot tub, fitness center, pool table, business center, volleyball court, and a play area. To view more photos, maps, and information about this condo, please click here. 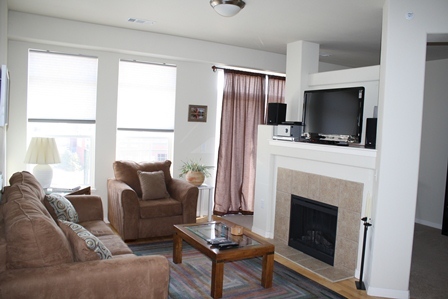 To view all of the amazing fully furnished corporate rental properties that AvenueWest Denver has to offer, please visit us at http://Denver.AvenueWest.com or give us a call directly at 303-825-0000. 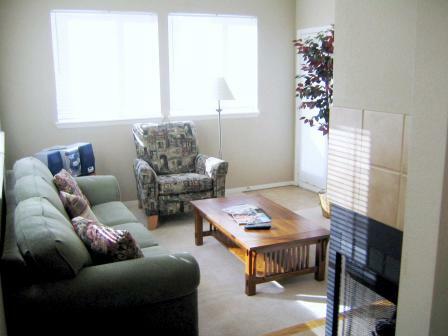 ← Fully Furnished Corporate Housing in Colorado Springs, Colorado Available Now!